En Zul'aman verás que te dan Vara de brujeria amani cuando matas a algunos bichos. Drops from trash in Zul'Aman, when you use them on Forest Frogs inside the instance they will transform back into their humanoid form. The frogs can be found very early in around a lake where there is a bridge and an altar of some sort. Some of them will leave Money, others will leave Amani Charms (They are like tomes in Karazhan), and some times a vendor will appear, in the case i've had so far a Food Vendor spawned. This item contained Formula: Enchant Cloak - Major Resistance. I'm guessing it will contain other highlevel recipes. The NPC's rescued will eventually return to the start of the instance where they're cheering for you. Leaving Zul'Aman removes the stick from your inventory, like the books from karazhan. Last night we had several Amani Charms and an engineering pattern for some the Hyperscopic Goggles. A friend in another guild received the pattern for the Resolute Cape! We also recieved the Resolute Cape pattern, with only 2 tailors in the group, me already knowing it and the other not wanting it, it was sent to the fancy new guild bank. Like a Karazhan tome, the Amani Hex Stick will disappear if you leave the instance. If you log out and don't use the stick, it WILL disappear just like a conjured item does. I found out the hard way... DOH! A small bag spawns on the ground. The player who clicks the bag is the only one who receives money. I received 13 gold. Inaccurate. The gold in the money bags is looted just like any other cash drop. When looting a money bag myself I got "Your share of the loot is ...", and when another raid member looted another bag I got the same message. In the end it seems to make no difference who uses the hex stick or who opens the containers, so it might be a good idea to simply have one person grab all the sticks that drop. That way there'll be less risk of any sticks getting lost in random people's inventories, making you lose out on a chance on gold or items. Reagent vendor spawned from frog. There was something named Hallowed Bone Decanter (blue item) which contained http://www.wowhead.com/?item=13512. Ohh. And that reagent vendor had Super Mana Potions and Super Healing Potions in limited supply for 2g each. hrm yeah i got mojo from one of these guys on the second try, on the first however i got a 10 stam buff scroll from that blue sealed case. i was like ?????? so it can contain rubbish. You can wrap these with wrapping paper and save them for later. How difficult are these mobs to solo at level 80? you cannot get into the dungeon unless you are in a raid so it doesnt matter if you can solo them. they are soloable as a mage. Not EASILY of course. I have died quite a bit as im frost and rely on my snares and cc's, which there is a lack of here. The drop rate has been kind of crappy. I have been going to the left side and clearing a couple mobs then allowing it to reset so i could clear again. So far about 5 hex sticks in 20+ kills. I am about to leave. Any hint on when/if blizz will be removing the 5-men requirement to open the ZA gate and allow us to farm the pet ? They did it for UBRS so.. why not ? The wrapping paper trick DOES NOT work any more - wrapping the hex sticks in wrapping paper does not prevent them from being deleted from your inventory after you leave Zul'Aman. I went alone to ZA and was farming mojo for like 3 hours (some mobs are respwaning). I decided to try for Mojo, as I'm up to 107 pets and the remaining ones are all difficult farming/pure luck. I've found that if you enter ZA, and get to the center of the entry area, where the two bridges are with the raised dais in between them (here), you can solo the 2 patrols that walk around by each bridge. The patrols I'm talking about walk in these areas. The patrol on the West (left) side always seems to be an Amani'shi Medicine Man and an Amani'shi Wind Walker, while the Eastern side (right) is always an Amani'shi Beast Tamer & an Amani'shi Flame Caster. It depends on what class and spec you are as to which pair is best suited to farming for you; some experimentation will be required. Also, it helps to have an aggro reset like Feign Death, Vanish, etc. I'll detail doing this both with and without these. As a lv80 BM Hunter, I use a Warpstalker with a heavy tanking build. Pick your pair. If you have an aggro reset and heavy physical damage mitigation/absorbtion (i.e. high-health tanking pet), you may want to take the Beast Tamer/Flame Caster pair. If you have no aggro reset, take the casters and be prepared to kite. Kill one. I recommend either the Flame Caster or the Wind Walker, since they're both very squishy and have no protection-oriented abilities. LOOT THE BODY! If you get a Hex Stick, try to use it and collect your reward before running out, since it'll despawn once you do. If you have an aggro reset, use it, then loot the corpse when it's safe. DON'T KILL THE SECOND MOB! If you leave it alive, another will respawn to take the dead mob's place once you reset aggro. You MUST loot the previous kill before killing the new mob, or it will not respawn properly. I get about 20 sticks an hour using this method, and while I haven't gotten a Mojo yet, it's about the only way to solo farm effectively. Keep in mind too, that you get other drops, and some of the rescued NPCS leave behind bags of gold. After about an hour, I'm usually up 75-100g, even taking ammo costs into account. I'm happy to confirm that a single player is indeed now able to open the inner door to Zul'Aman -- no need for a group of five to bang the gong. The NPC Harrison Jones continues to state that four other assistants are needed but this is in fact not true. Last night Harrison and I were able to bang the gong by ourselves to open the massive inner wooden door. A warning to those (such as myself) who had not been inside before: as soon as the door is opened, be prepared for battle! Two elites are standing at the inside corners of the door. They attack Harrison (and then you) immediately. After a few seconds, a group of eight or so non-elite mobs come charging at you from a bit further inside the zone. You'll need to kill them, be killed by them, or perhaps run out of the instance to make them forget about you. At that point, a Level 80 character can simply walk between the two entry-way elite mobs without drawing aggro. Stay right down the middle between them -- there is not much leeway while remaining undetected. As a happy conclusion to my story, after about three hours of farming and on the 12th Amani Hex Stick that I had looted, Mojo was mine! He is my 120th pet on my main character, and I feel very fortunate to have obtained him relatively easily. dose it always give you mojo? It's worth mentioning that if you die while farming these any hex sticks you have on you are gone when you come back into the instance for your body. Be sure to use them up before any big pulls just in case. As a shaman, it is helpful to have the http://www.wowhead.com/?item=45778. Also, your earth elemental can take quite a beating from the melee mobs, so don't be afraid to use it. Once you kill the pulls just inside the instance, you can farm the mobs on the ramp to the left of the entrance endlessly. Just kill the first pair and loot them. Then run back to the entrance, killing the low HP mobs on the way if they spawn. If you get a hex stick, you have about a minute to use if before you get put into combat. If you wait by the entrance, you will drop out of combat within a few seconds. The mobs will respawn, so you can kill them again. Rinse and repeat, and enjoy mojo! 1) Go to the gauntlet event on the left of Zul'Aman towards the eagle boss. 2) Kill the first two pairs of mobs and loot them. You need to do this as fast as possible. If you aren't capable of killing them very fast, you will only do one pair in the repeats, but initially you have to kill two. 3) Jump onto the banister type stairs on the right, and fall onto the SECOND one from the bottom. When the two warriors spawn to come and attack you from behind, aggro them. If you are standing on the correct one, the warriors will freeze for a few seconds, then the gauntlet will reset. 4) Jump down and repeat. If you are slow at killing the elites, then only kill the second pair and ignore the ones at the front. Finally, don't die. If you do, you will lose all of your hex sticks, and any benefits you got from charms. Also, try to aggro the two warrior spawns when possible, because otherwise they may accidentally aggro one of the casters higher up, who sometimes fires a few spells at you, even when you're on the safe spot. EDIT: This is effectively what mikeo007 is suggesting, but you don't have to run all the way back to the entrance, you just have to get out of reach of the mobs, and this will also reset them. fun fact: mobs didn't respawned. bugged someway? there is a way to get a big reset? maybe log off or exit dungeon? EDIT: log off doesn't work. I'm worried about the "legality" of resetting mobs that way though - via evades. Running to the entrance of the instance like Mikeo007 does work. Anyway I tried both methods - demonic teleport helped. Got it on the last try with the run to the entrance trick (using port to speed up my way there) as I was getting wary with porting to the "steps". For Rogues/Druids thinking about the cat boss area, you can get to a hut with five mobs who do not see through stealth. Rogues can sap the caster in the door and kill the one inside without aggroing anything else. Same for the one upstairs. Both of those will respawn in about 5 min. If you sap the caster in the door, you can fight the two guardians outside, then vanish. If you try to fight them inside the hut, they will dispel the sap, so don't do that unless you plan to kill them all. I had issues getting the killed mob to respawn for a while but I figured it out. You just have to make sure you move the second mob away from the patrol path before you vanish/feign death etc. or he won't have to run back to his spot and reset. If you're solo farming the mobs for the hex sticks, getting killed and releasing will ALSO remove the sticks from your inventory. So, use them up as you get them, or choose your fights carefully. The mobs in the hut with zungam resets pretty fast for some reason. At 85, I took 'bluewyvern's advice and I went to the 'gauntlet' of trolls. Mounted, I ran past the Amani'shi Lookout, and killed the first six elites. At the base of the gauntlet, is a giant eagle head statue. I jumped onto it from the nearest ledge and used that to reset the gauntlet. Judging by my Avenging Wrath cooldown, each pull and reset took a minute, to a minute and a half to do (including the wait for them to despawn). sort of perfect. Gave me enough time to heal myself and let avenging wrath come back for the next pull. Can only agree. Grabbing all 8 of the elites and burn them down and then jump over worked very well. You don't need to kill the eagles and the warriors (non elites) that show up if you don't want to. As protection pally lvl 85 I took very little damage which of course helped. I was lucky and got Mojo in about one hours work. There are a maximum of 14 Amani Hex Stick in one run. I counted number of frog total before they reappear again: 15 total. If you killed all the trash and get 14 Amani Hex Stick, there is a better chance that you will get Mojo. The forest frogs that leave a chest can reappear. You can also get two Mojo in one run, I did today. I learn one and free another forest frogs which turn into another Mojo. There is a building overlooking the water with 5 mobs and 1 friendly NPC. The pull in groups of 3, 1, and 1. If you kill the mobs and don't free the NPC, the mobs will respawn. This worked perfectly for my 85 warlock - decided to grab the pet today before ZA gets changed and spent about an hour farming sticks before Mojo dropped for me. The elites respawn almost instantly and it's quite easy to sidestep the non-elite packs of eagles. I hope I didn't get it wrong but I'm in Orgrimmar and i have 3 sticks in my bags..
Just to note for 4.1, These still do drop and can still be used on frogs. No one clears the trash in the middle, so just stick to the sides of the middle portion and find frogs to clear. I got a new charm and 13g from the two I had. These don't despawn any more when you leave the instance. They are even AH-able. Confirming a few things and adding, First adding: I had one Amani Hex Stick that I looted earlier and went back on my own to use and a food vendor spawned, Harald, and I was able to buy a decanter (I dont recall the exact name) and it had 6 Mysterious Fortune Cards in it and a Runscroll of Fortitude. One fortune card had a vendor price of 20 gold the rest were 20 silver. And Confirming: using my second stick Mojo jumped right into my pocket. He is soulbound and Unique so cannot be sold at the AH. 3rd stick spawned Arinoth who left me a money bag with 11 gold, 1 silver and 8 copper. 4th Spawned Mawago who left me an Amani Charm Box that contained Amani Charm of the Raging Defender. 5th spawned Micah woh left an Amani Treasure Box containing another Amani Charm of the Raging Defender. Unique, so I couldnt pick it up and the box despawned before I could get another person there to try and loot it. 6th spawned Kaldrick who left another Amani Charm Box containing Amani Charm of the Witch Doctor. 7th Spawned Melissa who left an Amani Charm box containing an Amani Charm of the Bloodletter. 8th Spawned Melasong who left me an Amani Charm Box containing an Amani Charm of Mighty Mojo. 9th Spawned Lenzo woh left a money bag with 18 gold, 40 silver and 31 copper. 10th Sapwned Micah again who left an Amani Charm Box containing Amani Charm of Mighty Mojo, which I had so could not loot, but my friend I called up here for this situation was able to loot. 11th Spawned Rosa who left an Amani Treasure box with an Amani Charm of the Witch doctor, another duplicate so my friend got that one also. Somewhere I also looted a Tattered Hexcloth Bag (24 slot Soulbound) not sure who dropped it though. All the charms are like a buff and do not last outside the instance. I tried to edit, doesnt seem to be working, but all charms are like a buff and do not last outside the instance. I misunderstood how the charms worked at first. Also I looted a Tattered Hexcloth Bag (24 slot soulbound) from one of the bags or boxes but Im not sure who left it. To clear things up you recieved Bolsa de tela de maleficio andrajosa from the quest El fetiche del señor aojador. Not from a box or bag. I bought I think 37 of these off the AH. Went into Zul'Aman, by myself, and used all but 6. Outta the ones I used I had Mojo appear about 6 Times. I already had him from when Zul'Aman was a raid. I also had a Food Vendor and a Reagent Vendor Appear both are Rare Items to open. I wish Mojo was Slightly Different Like the Zul'Gurub Raptor Mount. Ok, I did not see this up here but these are a little tricky to see, at least for me it was. They are right where the person was standing and they are sort of in the ground. When you hover your mouse over right near where they were standing there will be a gear icon to open the chest. Mojo (emotes Mojo leaps into 's pocket. I'ts not possible to enter the instance at lvl 90, You have to be 85 in heroic dungeon finder. Use the Amani Hex Stick on only the Forest Frogs & after several tries, Mojo should appear in a vacant spot of your bag. You can only use 1 item per frog. I've done 2 days of slaying all the NPCs in Zul'Aman & was finally able to get the battle pet, Mojo, with 2 Amani Hex Sticks left over. About 10 per day. The drops weren't very high but at the same time not very low too. It seems the highest drop for this item is just before you get to Nalorakk by fighting 6(?) Amani Bears. 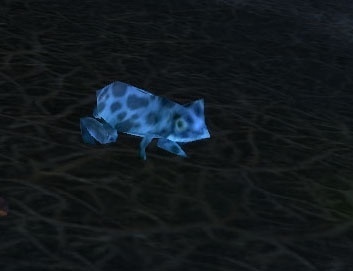 A few people mentioned about the /kiss emote to convert a Forest Frog to Mojo but that isn't true. If your goal (of possibly many) is to pick up Mojo, just keep slaying all the NPCs, pick up the Amani Hex Stick & come to coordinates or to use the item. If you arrive & don't see it spawned, just wait a few minutes at most. ...until finally Mojo will jump into the pocket of your bag. See Screenshot. Uso: Elimina la maldición Amani de una rana campera en Zul'Aman.